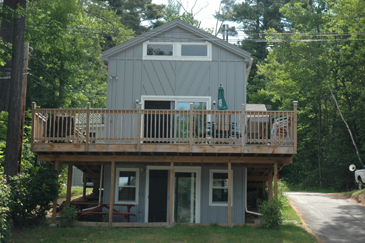 We have 15 different cottages. 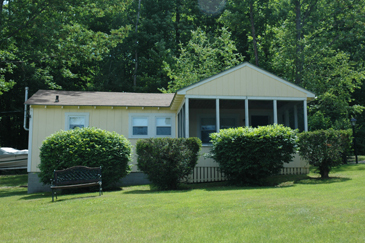 1, 2, & 3+ bedrooms all w/AC, fully equipped kitchens, cable tv and screened porches. 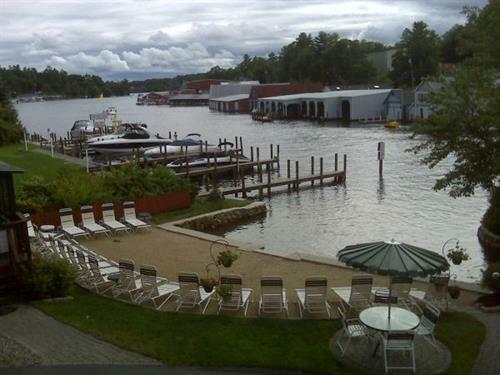 Waterfront units available. Pet friendly. 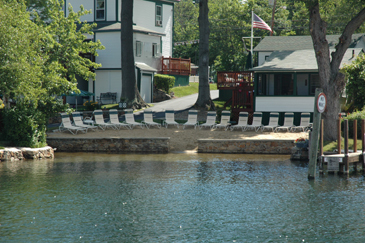 Private beach, island w/tiki bar, cable tv, fireplace, tables & chairs to enjoy watching boats go by. Beautiful grilling area with plenty of space to have your family cookouts. Docking available. Park @ your door & walk to everything (arcades, batting cages, go-karts, water bumper boats, mini-golf, rock climbing wall, waterslide, restaurants, shopping, Mt. Washington Cruise Ship, etc.). Free WiFi. Pets welcome (please call). Very clean! Very comfortable! All couples & families. 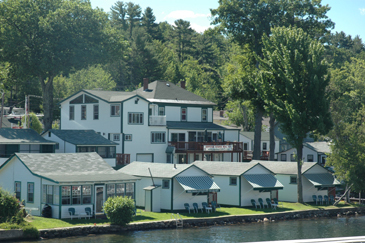 Located at the bridge in Weirs Beach on the CHANNEL that connects Paugus Bay to Lake Winnipesaukee. 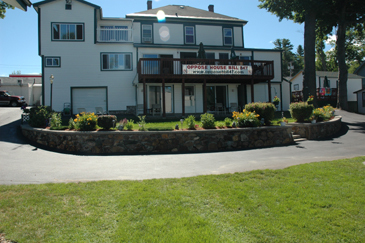 Scenic views of the lake & fabulous sunsets. 2011 marks our 20th season - celebrate this year with us. You'll LOVE it here!!! REST & RELAXATION OFFERED HERE! From Boston: 93N take exit 20 at light take a left onto Rt 3 North . Follow approx 13 miles. Rt 3 will turn left onto Weirs Blvd & we are 3 miles down on left just before the bridge to Weirs Beach.